It was in the beginning of my keto diet and like anything I start new I have to be aware of any changes that happen to my body. I already understood the symptoms of the Keto flu and took every procedure to lessen the problems. It was a struggle but continue to push on. Now this issue was something I was not prepared for. My arms, neck, center of my chest, and back was getting itchy. Initially, I figured it was due to the fact that I was doing some yard work. It was a nice day and I did it with my shirt off. The following day the rash didn’t go away and thought it was odd. Did a quick search about “getting a rash while on keto” and got some hits on Google. Keto Rash happens to some people on low carb diet. There are many different theories on this but overall I believe it’s Ketones caused by sweat. The reason why I say this is that the rash appears where I sweat the most. The ketosis sweat can contain acetone. Typically, most sweat has an ammonia type smell. On the other hand Acetone is what you smell at a Nail spa. The acetone can irritate your skin and cause a rash to form. 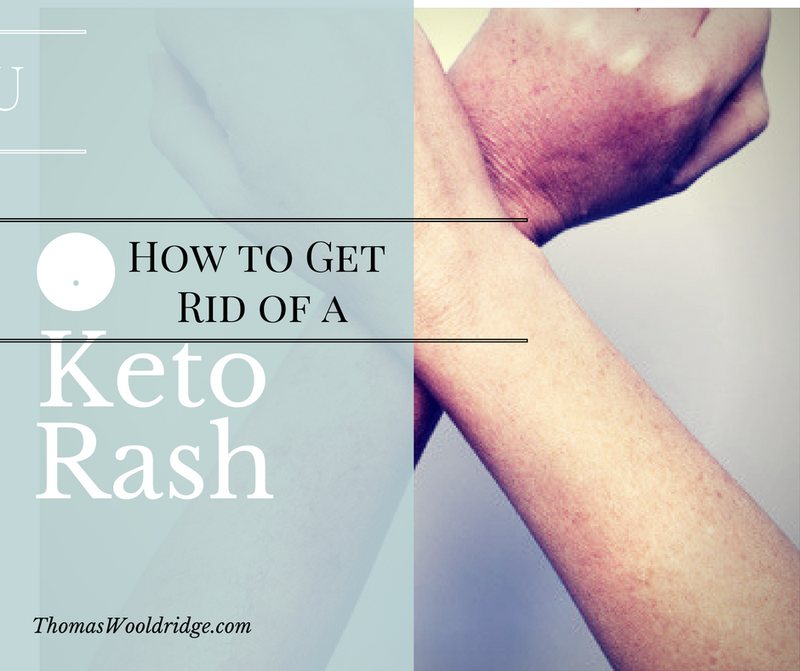 How to Get rid of Keto Rash. Just like any rash you got to control the itching. The more you scratch the worse it will get. Once you stop scratching it will eventually go away. For me it took 2 days to stop itching and 4 days total for the small bumps to disappear. 2. Dry really well and apply Hydrocortisone. Now Keep in mind that sweat is the cause of the Rash. So immediately clean off the sweat in your body. Not just drying it with a towel but use a wet wipe or take a shower after a full sweaty workout in the gym. If all else fails and you can’t deal with it. Lucky for me it didn’t get in my face or neck. I could imagine that I would of done this if this had happened to me but. EAT Some carbs and get out of Ketosis. I know that is drastic could it effect your diet and weight loss journey. But that will 100% cure your keto rash. But if you stick with it your will eventually get over the keto rash. I’ve been in Ketosis for almost 3 months and the rash has never came back. I’m pretty sure my body learned how to adapt to and no longer gets irritated with the acetone in my sweat. Let me know if this worked for you or if you had any other methods you used.